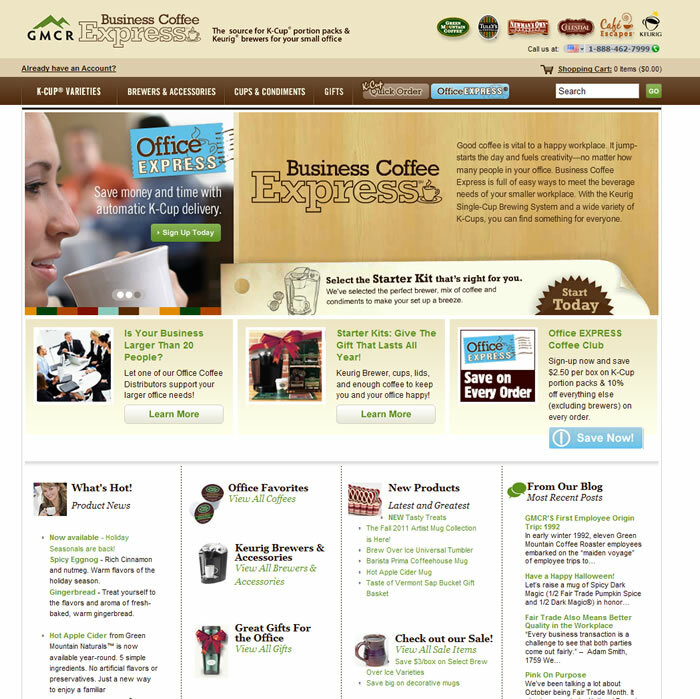 We are honored to have been chosen by Ecommerce director Reid Greenberg to help launch the new small office site Business Coffee Express for Green Mountain Coffee Roasters. Offering a selection of commercial grade Keurig single cup brewers, hundreds of flavors of K-cup packs, as well as cups and condiments to small offices with fewer than 20 employees, the site went live on March 17, 2010. Especially popular – starter kits!